One lucky buyer will have a chance to own the very first 2014 Chevrolet Corvette VIN #0001 that will be auctioned off for charity along with four other performance Chevys this weekend. 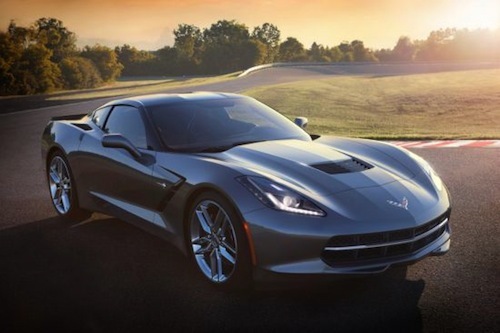 The highly-anticipated 2014 Chevrolet Corvette Stingray was unveiled at the North American International Auto Show this week and received the attention of the whole automotive world. Now, one lucky buyer will have the chance to purchase the very first 2014 Corvette VIN #0001 at the Barrett-Jackson auction coming up this weekend. The event is called the “World’s Greatest Collector Car Auctions”, and is held in Scottsdale, Arizona where car collectors from around the globe will converge on the special event. Chevrolet has announced they will offer the first retail production model of the 2014 Corvette Stingray with Vehicle Identification Number ending in 0001 and it will be auctioned at Barrett-Jackson. The sale has been scheduled to take place on the evening of Saturday January 19th. Anyone can bid on the new sports car from Chevrolet either in person or online. The first production 2014 Corvette VIN # 0001 should bring plenty of bidding and drive the price up. The seventh generation 2014 Corvette (C7) gets a completely redesigned exterior and will feature a new 6.2-liter V8 engine, which pumps out 450-horspower. The LT1 engine features cylinder deactivation technology, which enables the vehicle to momentarily stop using four cylinders of displacement. GM says that the new technology will boost fuel economy, making the LT1 the most fuel efficient 450-horsepower engine available. The new Corvette also gets a more upscale interior, lighter chassis, and more efficient seven-speed manual transmission. GM says the proceeds will benefit the College for Creative Studies in Detroit, which is renowned for its automotive design program. The college enrolls over 1,400 students and is regarded among the world’s premier institutions for industrial and transportation design. The students at CCS are pursuing undergraduate degrees in 12 majors or graduate degrees in Design and Transportation design. CCS has been in existence since 1906 in Detroit and was originally founded as the Detroit Society of Arts and Crafts. Over the years, it grew into an arts education institution, and in 1933, it was one of the world’s first art institutions to recognize the automobile as an art form. Along with the very first 2014 Corvette Stingray, GM has announced four other high-performance Chevrolet’s will cross the block at Barrett-Jackson’s sale this weekend. Buyers will have the chance to purchase some very unique performance cars. General Motors’ CEO Dan Akerson’s 1958 Corvette will go across the auction block on the evening of Friday, Jan. 18, with proceeds to benefit Habitat for Humanity’s initiative to improve Detroit’s Morningside Commons neighborhood. The Regal Turquoise roadster is powered by the original factory 245-horsepower small-block chevy V-8. A highly sought after 2012 COPO Camaro convertible, number 69 of 69 COPO Camaro factory drag-race cars will also be at the famous auction. It is only one of two convertibles built, and is sure to bring high dollars. This car is the only COPO Camaro painted Inferno Orange Metallic and is scheduled for the afternoon of Saturday, Jan. 19, with proceeds to benefit the American Heart Association. Restauranteur, author, television personality and game show host, Guy Fieri will offer his personalized 2013 Corvette 427 Convertible Collector Edition at the auction with proceeds going to benefit the Guy Fieri Foundation for Inspiration and Imagination. The black convertible features his trademark black with yellow racing stripes and is powered by a 427 V8 with 580 horsepower. Fieri’s Corvette is scheduled to cross the block on the evening of Thursday, Jan. 17. Last but not least, a 2013 Chevrolet ZL1 Convertible will be auctioned Sunday, Jan. 20, with all proceeds benefitting the Achilles International, which enables people with disabilities to participate in mainstream athletics. The open-air ZL1 is motivated by a supercharged 6.2L LSA small-block powerplant producing 580 horsepower.